Can’t play weds or thurs, monday and tuesday are fine. Sundays are acceptable but last resort. What reason do I have to be on their side T-Mac? (pun unintended) You tell me you play for 10 seasons and whatever else, yet you still dont seem to understand the concept of Default Dates. Since there was no information on the match page I even do you the favour and ask what’s up, to avoid the unavoidable whining afterwards, instead of just setting the Default Date. And what do I get for it? I get dragged into a discussion that leads to nothing and unavoidable whining beforehand. But yeah admins are on Reason’s side. It’s obvious isn’t it? Even though i can’t blame Reason to be unable to play on those days I’ll never get why it’s up to us to be there on a day off and not them..
Matchpage comment ? it’s ridiculous I can do that for all the games remaining in the season i’d still get the default ? The rule that the Default Date is set after the first proposal never existed, not sure where you got that from. There was a policy where we would set the Default Date after the last proposal made, but that didnt really make sense, so we abandoned it a couple of seasons ago already. If you make a proposal and the other team clearly states that they cannot make that date, what is the point in still making that proposal the schedule? Makes absolutely no sense. You do not have to play on a day where you cannot play on, you can simply submit the days you can or cannot play on and based of your days and their days a Default Date will be set. Match page comments and proposals are the only reliable way of tracking the communication between teams. What else should we go on? There is nothing else. And Prem even has the advantage that they are still getting babysat more than they should be, so you cannot complain whatsoever. And no, writing matchpage comments on all your next upcoming fixtures will not guarantee the Default Date to be on your site, it merely is an inidication of when you can and cannot play. 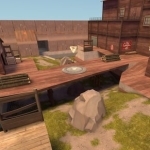 This still doesn’t makes sense to me but whatever..
How I can find sourse-tv demo snakewater map? I submitted the STVs yesterday, they should be at the top of the matchpage once they get verified.